What can we learn about Lyme disease? 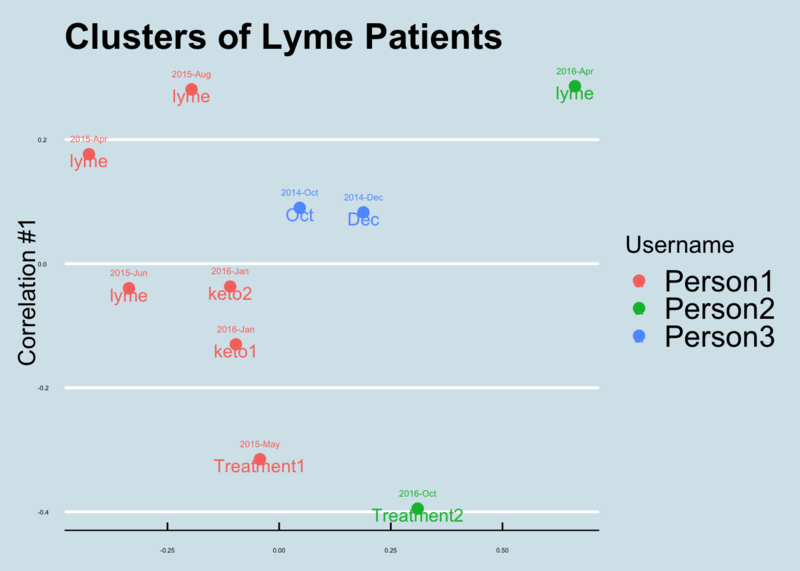 We know that Lyme disease has been linked to the pathogen Borrelia. 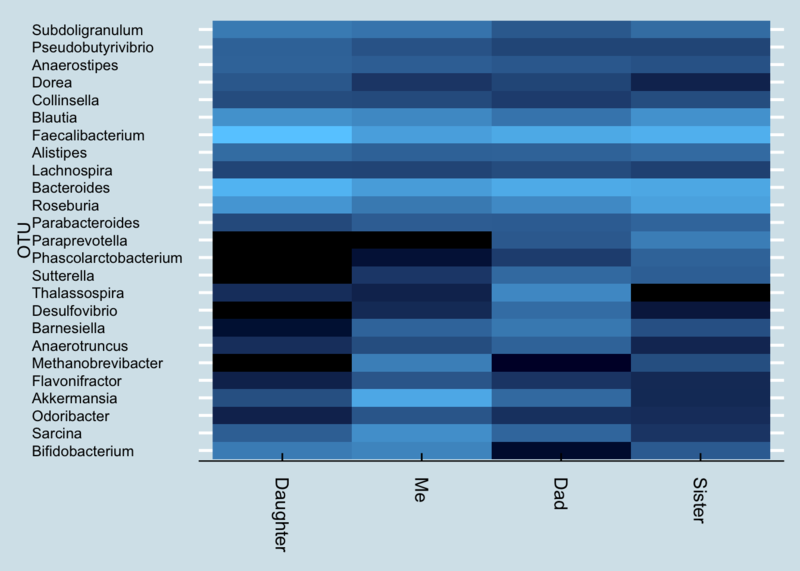 The uBiome 16S pipeline doesn’t appear able to distinguish among the different species of that taxa, so let’s look at a higher level, the family Spirochaetaceae, which includes Borrelia. 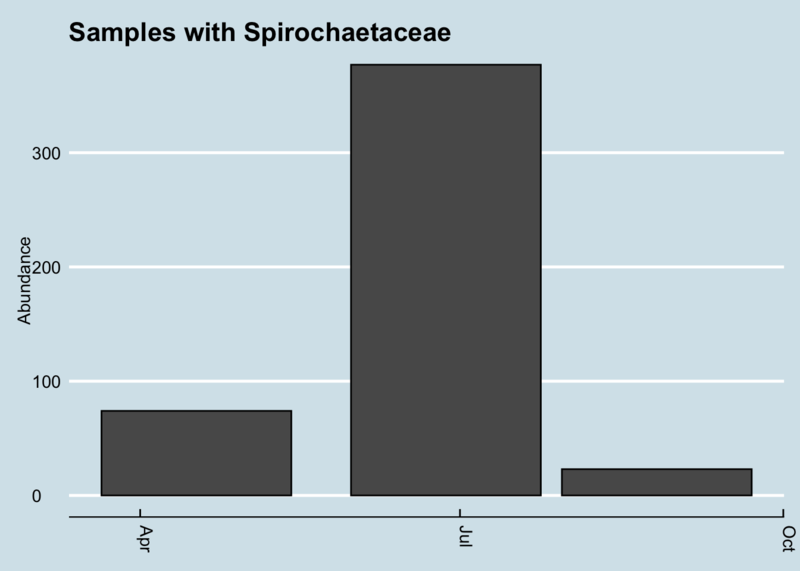 Several people with confirmed lyme disease sent me their samples, and indeed I do find some Spirochaetaceae in these samples, albeit at very low abundance. 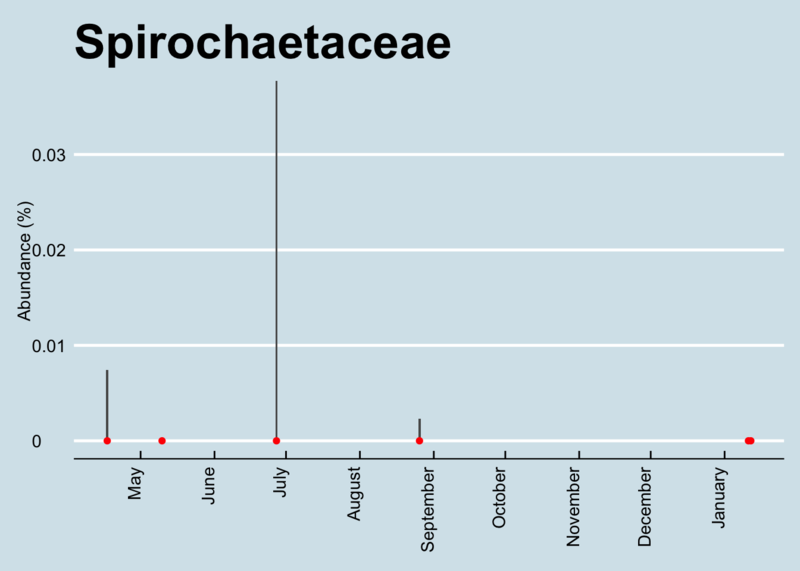 I was unable to find any Spirochaetaceae in any of the other hundreds of samples I examined, including from a few people with confirmed lyme.